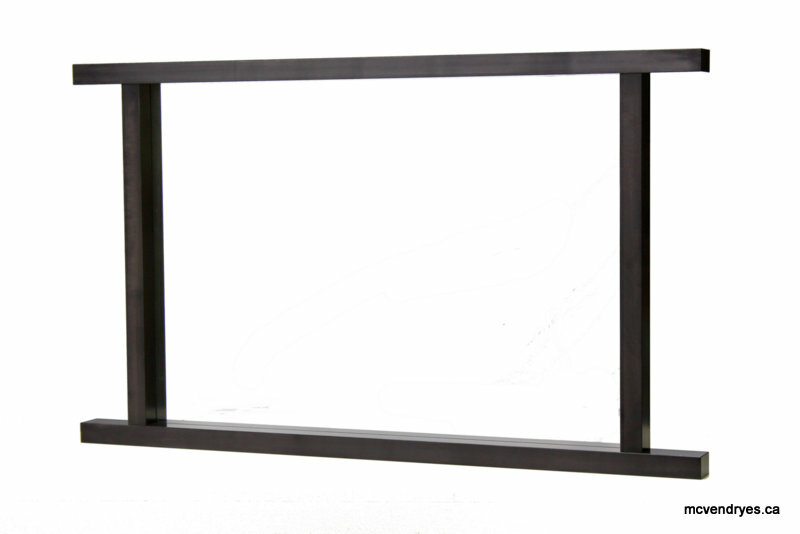 This mirror was designed to perfectly match the negative space created by the pedestal for the Vitae Modern Console Table. Made of rock maple and joined with blind double mortise and tenon joinery, the mirror frame is dyed black, shellacked, and waxed. The various pieces work very well together to create a very appealing space.